BOSTON, Mass., July 26, 2016 (SEND2PRESS NEWSWIRE) — Helping seniors stay emotionally engaged and interested in the outside world is an important part of healthy aging. Now, a new program called Uplift Senior Citizens is offering social engagement as a service to help improve the social and emotional well-being of senior citizens. Upliftseniorcitizens.com provides peer-to-peer social encounters that are intellectually stimulating and emotionally rewarding. The program aims at the upper end of the senior market, as there is a fee involved. The website partners with individual “peers” – all with a variety of life stories and accomplishments. Seniors themselves, families or friends reserve time with an Uplift Seniors peer who has the background, interests or life story that interests them, and then select a social engagement of their choice, such as a lunch, a walk or a visit. Peer participants include both men and women with diverse backgrounds and education levels. Most importantly, they have a variety of usual and unusual life experiences and interests. 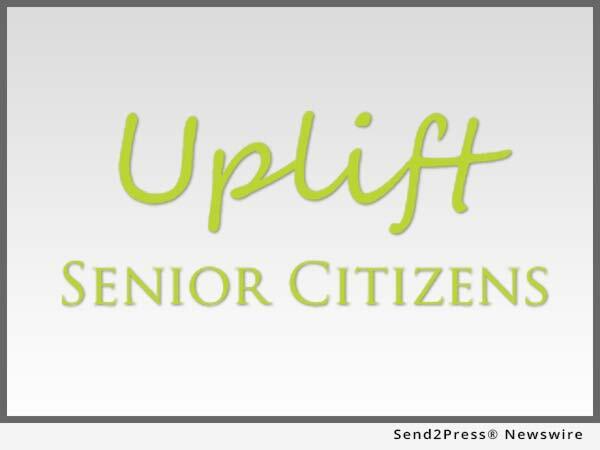 Uplift Senior Citizens founder Henry Quinlan, himself a semi-retired publisher, understands the emotional issues that come with aging, and stresses the need to continually connect with others. Too many seniors, he says, become reclusive and withdrawn due to a loss of social interaction. This type of isolated lifestyle often brings on a variety of mental health issues and even physical illness. “Over the years I have developed relationships with all kinds of people, young and old, successful or striving, and recognize that the common thread among people is the need for connection. Seniors who continue to connect with others as they age tend to lead happier and more fulfilling lives,” Quinlan says. Quinlan has come to believe that the perfect, unique gift for a senior citizen isn’t a thing – it’s an experience. It’s a social encounter with an engaging and intellectually stimulating person. Someone who can bring a renewed sense of interest and energy back into their life. We all remember with fondness those occasions – where we simply connect and enjoy someone’s company. For more information, visit: http://www.upliftseniorcitizens.com/. "Over the years I have developed relationships with all kinds of people, young and old, successful or striving, and recognize that the common thread among people is the need for connection. Seniors who continue to connect with others as they age tend to lead happier and more fulfilling lives," Henry Quinlan says. Uplift Senior Citizens is a website where caregivers can find a unique service for seniors that will give the recipients an uplifting experience, both emotionally and intellectually. It will be accomplished the old fashion way — face to face meeting over lunch or some other activity. We have one promise — the encounter will be emotionally satisfying and intellectually stimulating. A gift of unlimited value.